In search of the “ideal” man. What does it mean to be a real man? One who can command both respect and affection. A man who accomplishes worthy goals without ruining others or losing his soul. We see too many “macho” types who swagger through life with bravado, but with hollow hearts and confused minds. Others are kind and sensitive, but lack the strength to lead with purpose and passion. Far too many men are obsessed with their work, their play, or their pleasures. Meanwhile, the women around them long for someone who is caring, confident, and competent. Where can we find a man who has it all, a well-rounded man who combines all the qualities we look for in a leader and a lover? 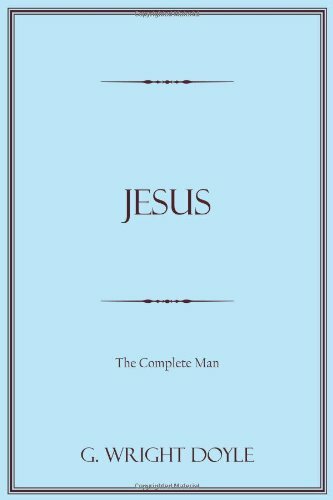 JESUS: The Complete Man presents us with such a model. For almost two thousand years, Jesus’ influence has spread around the world. In almost every country, men and women acknowledge him not only as the perfect pattern of human goodness but also as the only savior from sin and death.